IPL SRH team 2019 players list is placed here. The Sunrisers Hyderabad will hope they can take some of the form they had shown in the 2016 edition of the Indian Premier League, which they had won under the stewardship of David Warner and Tom Moody. And the good news is that after missing out of the competition last season, Warner is back into the set-up and retained by the team yet again. 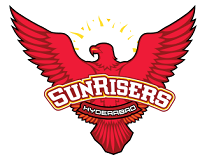 Sunrisers Hyderabad team 2019 players list is placed below. Among those who have been released by Hyderabad before the IPL auction that will be held later in December, 2018, are the likes of Sachin Baby, Tanmay Agarwal, Wriddhiman Saha and Bipul Sharma from India, which makes for a lot of sense given their performance hasn’t been worthy of T20 cricket in recent times. Also getting the axe are England seamer Chris Jordan, all-rounder and hard-hitter Carlos Brathwaite, England opener Alex Hales and Bangladeshi spinner Mehdi Hasan which could be down to how the side has gone with their trades going into this IPL auction. They gave away Shikhar Dhawan to the Delhi Daredevils but brought in Abhishek Sharma, a hard-hitting youngster in the middle-order, Vijay Shankar, all-rounder and Shahbaz Nadeem, a left-arm spinner. The presence of Hales as England’s premier batsman for the World Cup makes him a less viable option now, especially given Warner is back and will face a similar issue. Among those other players retained include the who’s who of T20 cricket, include Bhuvneshwar Kumar, Manish Pandey, Sandeep Sharma, Siddarth Kaul, Khaleel Ahmed, Yusuf Pathan, Billy Stanlake, Kane Williamson and three of the best overseas players you can expect from the spin bowling lineup in the form of Rashid Khan, Mohammad Nabi and Shakib Al Hasan. SRH players who may depart early to their respective countries to prepare for world cup: David Warner (Aus), Jonny Bairstow (Eng), Rashid Khan (Afg), Mohammed Nabi (Afg), Shakib Al-Hasan (Ban). The interesting bit now will be what do they do during the auction they have only five slots that need filling and have a salary cap of Rs.9.7 crore to do that. A good couple of Indian batsmen might be the order of the day which they would love to fulfil during it. IPL SRH squad 2019 is placed below. Only 4 overseas players are allowed. SRH Team Squad If not play Williamson tomorrow.